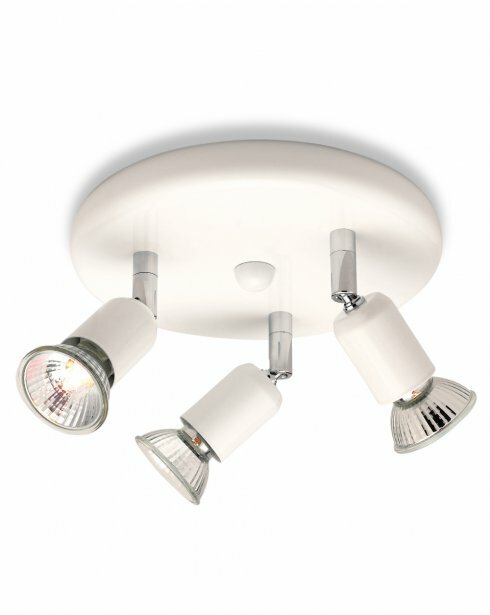 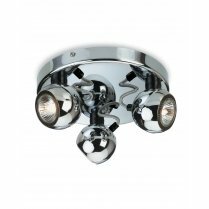 The Runner 3 Light Ceiling Spotlight is a simple design fitting with a white circular ceiling plate and 3 adjustable spotlights. 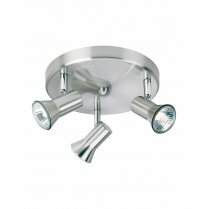 The 50W halogens project a bright beam of light into your room - ideal for a busy kitchen area. 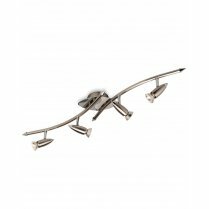 Matching items include single wall lights & 3 light bar ceiling spotlights. 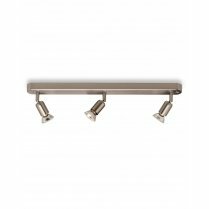 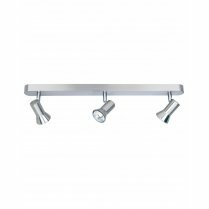 Alternative brushed brass, brushed steel or chrome fittings are available in the Runner Range from Firstlight. 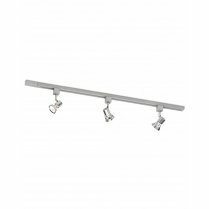 Comes supplied with 4 x 50W GU10 bulbs and suitable for use with low energy GU10 LED's.